XXXIV, 261 p., 10 ill., 17,6 x 24,3 cm. 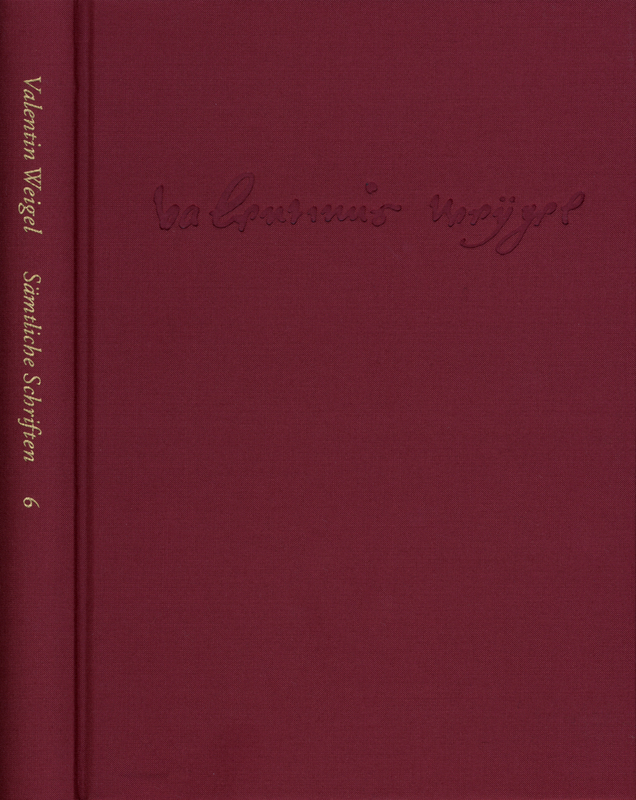 The main text is a revision of Valentine Weigel’s ›Handschriftlichen Predigtensammlung‹ (Collection of Handwritten Sermons), published in 1977 and 1978 for the first time in instalments 6 and 7 of the ›Sämtlichen Schriften‹ (Collected Works). This collection, which was handed down in a handwritten form only, was written five years before Weigel’s ›Postille‹ (devotional book) and is unfinished. It begins with a sermon on the first Sunday in Advent in 1573 and stops with a sermon on Judica Sunday in 1574. In a preface which he wrote on October 11 of the same year, Weigel describes his spiritually motivated concept of the ministry whose purpose is to lead its listeners »to that which lives within the spirit«.